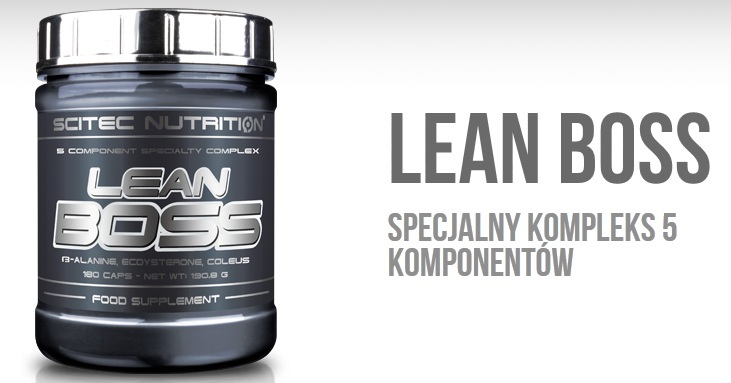 Fat LossScitec Lean Boss - 180 kaps. 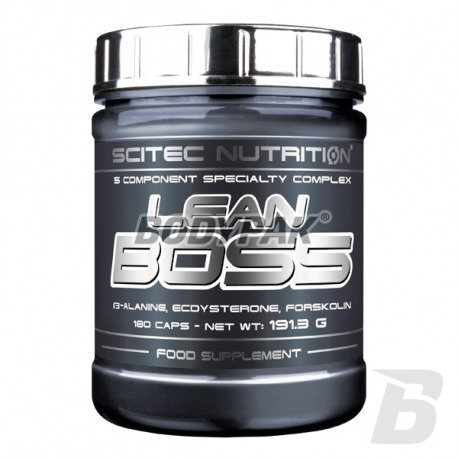 Scitec Lean Boss - 180 kaps. Extreme formula causing recomposition of the body and increasing physical fitness. Recomposition is a welcome change in body composition is characterized by an increase in lean muscle mass with a visible reduction in the level of body fat and fast regeneration of the body with comprehensive training. Unique in the world supplement combining ingredients drastically improve body composition. Each of the substrates has confirmed the action. All this adds up to effective fat burning while noticeable increase lean muscle mass and strength without oxygen. Beta Alanine supports the development of strength and endurance during intense exercise. 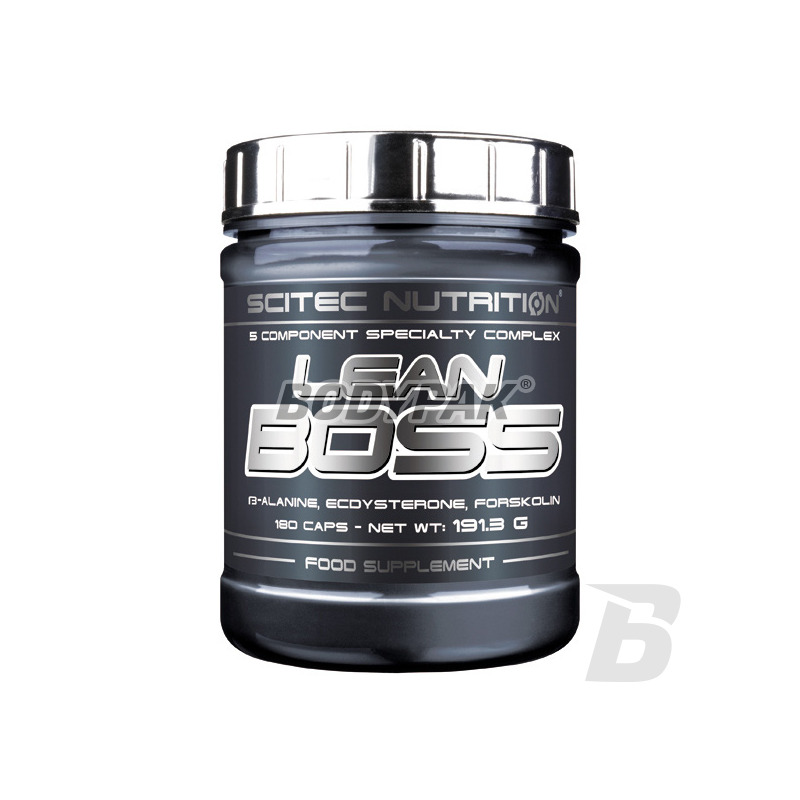 Scitec Lean Boss is one of our most complex complexes, which can be used both in the muscle building and fat burning! The basis of the product is beta-alanine and standardized extracts, which provide Beta ecdysterone and forskolin (Coleus forskohlii with). The product contains pyridoxine, and Chromium Picolinate, which contribute to the maintenance of normal blood glucose levels, optimization of hormonal activity and the reduction of tiredness and fatigue. Lean boss does not cause water retention and bloating! * Statement scientifically validated by the European Food Safety Authority (the European Food Safety Authority) and approved by the European Commission (EC). Use 5 caps. Daily divided into 2-3 portions spread throughout the day.